- The optional heating accessory provides temporary relief from mild arthritis and joint pain, as well as muscle pain associated with stress and tension. - Sleeping in an upright position may reduce of ease light and occassional snoring. If your doctor recommends elevating your upper body to help with Acid reflux disease, also known as GERD (Gastroesophageal Reflux Disease), then a Craftmatic Adjustable Bed could be the answer for a restful, full night sleep. With acid reflux disease, your lower esophageal sphincter or LES relaxes more often than it should allowing harsh stomach acids to leak back up into the esophagus. Unlike the stomach, your esophagus has very limited natural protection against these juices, which easily cause irritation when acid leaks up. 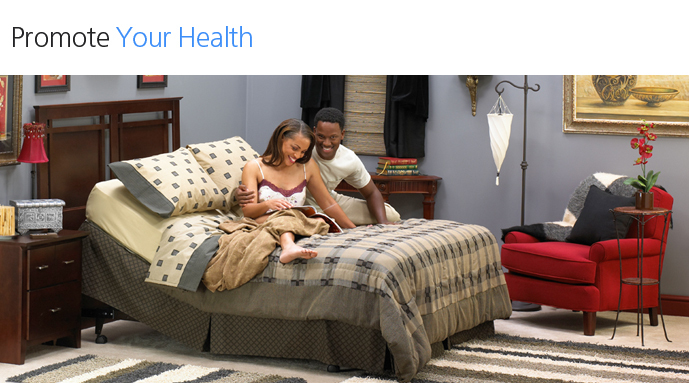 A Craftmatic Adjustable Bed makes it easy to find the perfect comfort position. Using the remote wireless or corded hand control you can simply raise your upper body and head to help keep that unwanted acid where it belongs. According to doctors, health care professionals, and the makers of the leading Acid Reflux medicine, elevating your head at least 6 inches during sleep may help to keep stomach juices from rising up into your esophagus. With 1001 comfort positions, heat and massage options, your Craftmatic Adjustable Bed can help support a lifetime of good health. People who suffer from Edema know it is a condition of abnormally large fluid volume in the circulatory system or in tissues between the body's cells. This fluid imbalance can cause mild to severe swelling in one or more parts of the body. Symptoms can vary depending on the cause of edema but in general, weight gain, and swelling of the legs may occur as a result of this excess fluid volume. If your doctor recommends elevation of the legs, to stimulate the excess fluid entry into the circulatory system, then try a Craftmatic Adjustable Bed! It’s so easy with the remote wireless or corded hand control. Just dial in the perfect position and you’ll find yourself start to relax. Plus, our beautiful bed models have options for heat, massage and total support. Remember, whether you have Edema, low back pain or experience stress from everyday life, our adjustable beds may be just what the doctor ordered. Experience our 1001 comfort positions for yourself. There is no better adjustable bed around! Our Craftmatic Adjustable Beds are manufactured with the same expensive parts, methodology, quality control and care as an adjustable hospital bed and dental chair. 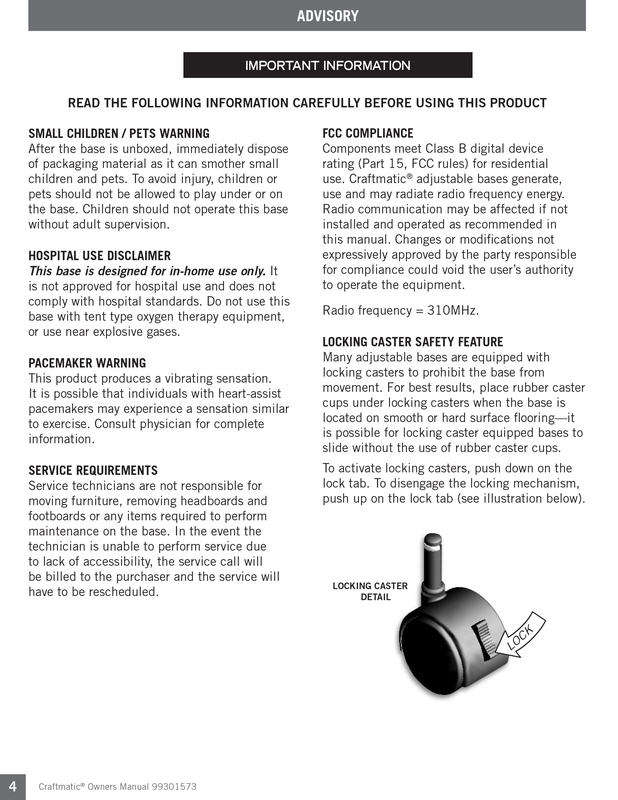 Component parts are carefully assembled and rigorously tested for long life and reliability. 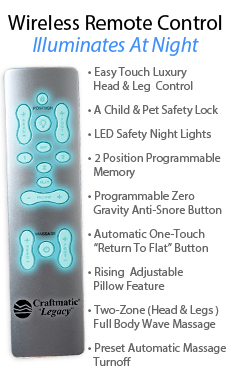 Experience for yourself the comfort, durability and everyday relaxation a Craftmatic adjustable Bed can provide.